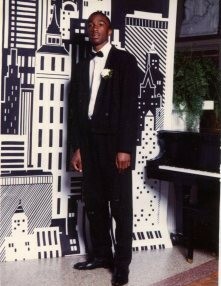 Charles Edward Hill was born on July 22, 1974 to the late Mr. Eddie Williams and Mrs. Shirley Kuhn. He was born, raised, and lived a full life in Warrenton, Georgia. Charles attended Warren County High School. On Friday, September 14, 2018, at Augusta University Hospital in Augusta, Georgia, our loved one, Charles, answered his call to be with the Lord. He was preceded in death by his grandparents: Annie Mae Hill, James Hudgeon, Robert (Helen) Williams, his brother, Kenneth Hill, and his aunt, Jessie Ann Collins. Charles was a lifelong observer of people. Mr. Charles Hill saw everything! His favorite pastimes were sitting under “his tree” watching people as they went by, the Lifetime Channel, “hitting the road” walking, diet sodas, oatmeal pies, spin-wheels, and watching basketball and football. Charles didn’t care which team was playing. He really enjoyed talking with “Jr. Kemp” from down the road. If you ever had the opportunity to meet him, you would never forget him. Charles will live on as a blessing to so many people. You see, his death, has given a new life to five different people, so far. His organs have found homes in Atlanta, Augusta, and as far away as the great state of Maryland. His memories shall be cherished by his loving mother, Shirley Kuhn (Warrenton, GA), siblings: John Willie Hill (Gibson, GA), Loresa (William) Lamar (Sparta, GA), Dewayne Anthony Williams (Norwood, GA), uncles & aunts: Elizabeth Hudgeon and Mamie Hudgeon (Augusta, GA), Frank Bell and William Henry Hill (Rochester, NY), Mable Moss, Christine Ficklin, Katherine Dawson, Lula Cheeley, Robert Hudgeon, Mary (James) Jackson, Robert (Mary) Williams, Jr., Andrea Williams, Nellie Mae Williams, Tommie Williams (Warrenton, GA), Katie Moss (Macon, GA), Alice Mae Coleman (New York), and Zille Saffo (Augusta, GA), his loving girlfriend, Carla L. Douglas (Thomson, GA), and a host of nieces, nephews, other relatives, and friends who cherished and will miss him dearly.